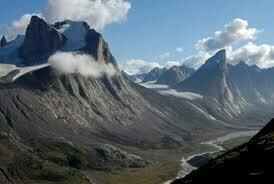 The oldest segment of the earth’s crust was found on an island off the coast of Greenland in 2007 and it’s at least 3.8 billion years old. The world's northernmost flowers cling tenuously to life on desolate Kaffeklubben Island. This chunk of crust means it’s the oldest rock ever discovered with a margin of around 1.3 billion years—the oldest recorded before this find was a 2.5 billion-year-old rock discovered in China. As if the crust’s age weren’t enough to make this find it significant, there’s more. 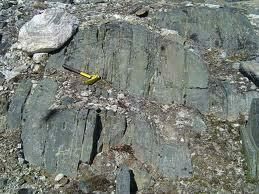 The find is an ophiolite, a rock created when one tectonic plate is forced underneath the other. Essentially, one bit of an oceanic or continental plate is shaved off onto the other, forming a layered rock. Ophiolites are important signs of plate tectonics, and the 3.8 billion-year-old rock signals that plate tectonics may have been moving around the Earth’s surface for more than a billion years longer than scientists originally hypothesized. This chunk of rock was found in what scientists call an island arc environment, consisting of a row of volcanoes near the spots where tectonic plates are converging. These arcs are formed when water released from a subducted plate melts the rocks above and causes magma to punch through the crust above. 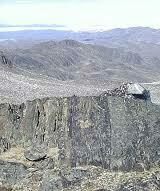 For the record, this ophiolite is merely the largest chunk of such rock ever discovered. Small, 4.4 billion-year-old chunks of zircon have been found within other rocks before now.